While in Mexico I also indulged in birria, a tomato based stew made with goat roasted in leaves, roasted chilies and spices. The goat can be eaten by itself or made into taco. 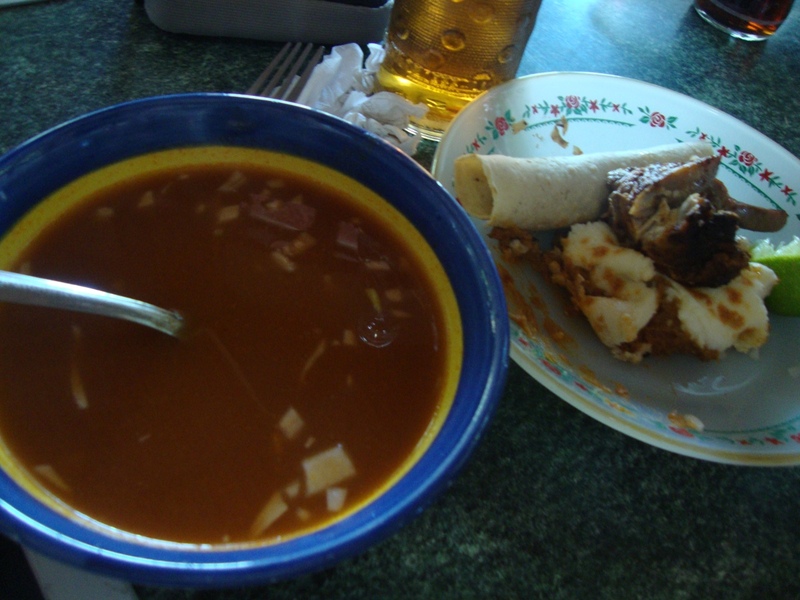 It is served with tortillas, beans and cheese, salsa, as well as some of the tomato stew it was roasted in. To me the goat had a similar texture to good barbeque in the US. if I lived in mexico, i would die in mexico. that is all there is to say about that.